eMerchantBroker.com is the #1 provider of merchant accounts for the electronic cigarette industry. The lack of clarity to the classification of e-cigarettes scares traditional banks and institutions from opening e-cig merchant accounts, but not for EMB. Why a business needs an e-cig merchant account? The differences between a e-cig merchant account and a low-risk account? What to expect during a e-cig merchant account application review? E-cig merchant account application requirements? What are chargeback and why are ratios so high? Why high chargebacks are red flags for processors? What are E-cig and related-industry categories? No blowing smoking – Why are e-cigs popular and safer? The e-cigarette industry is a more than $3.5 billion industry and rising thanks to the increased popularity of e-juices, hookahs, and vaping. Ex-smokers have found e-cigarettes to be a healthier alternative to traditional tobacco-containing cigarettes. Vaping also is attractive to those who have never smoked a traditional cigarette. According to the National Center for Health Statistics’ National Health Interview Survey released in October 2015, 3.2% who have never smoke cigarettes have tried an electronic cigarette. There is no doubt that this industry is smoking hot, and entrepreneurs are taking advantage of it. However, banks don’t make it easy for new businesses and smaller businesses in the e-cig industry to get credit card transactions processed. Traditional financial institutions deem electronic cigarette and related businesses high risk, making it very difficult for them to get fair, cost-effective payment solutions. This is when eMerchantBroker.com (EMB) comes in with a solution as a responsible high-risk e-cig merchant account provider that serves businesses worldwide. Specializing in high-risk merchant accounts for businesses, such as online and bricks-and-mortar e-cigarette, vaping, and smoking accessory shops, EMB customizes payment processing solutions for all types and sizes of companies. The suggestions here offer answers to the most commonly asked questions about obtaining and successfully maintaining an e-cig merchant account. To begin the electronic cigarette merchant account process, apply today. Businesses that sell electronic cigarettes, vaporizers, hookahs, and other related accessories need e-cig merchant accounts because traditional banks will not approve them. Due to ongoing regulatory changes and the high chargeback ratios, banks won’t approve accounts for these high-risk electronic cigarette merchant accounts. E-cig merchants that want to accept credit cards need to apply to a high-risk credit card processor, such as EMB. As a high-risk merchant account provider, EMB specializes in e-cig merchant accounts. Dedicated to a high-quality of customer service, EMB works with businesses to get them the customized payment solution they need. Electronic cigarette merchant accounts can get approved in as little as 24 hours. An e-cig merchant account costs slightly more than a low-risk merchant account. Depending on the specific circumstances of each business, an account also may have other limits, such as a funding delay, a monthly credit card cap, and a rolling reserve. Fortunately, since EMB always is working to make a customer’s experience better, most of these limits can be removed from an account after the first three months. During that time, a merchant must show a stable, successful history of processing credit cards. E-cig merchants will need to prove to a credit card processor’s underwriter that they are running a responsible, legitimate business. It is an underwriter’s job to assess any potential risk. Ultimately, the underwriter accepts or declines an application based on the risk assessment. Merchants can prove they are operating legally by giving underwriters valid disclosures and restrictions that help support the businesses’ claims. When underwriters review an application from a vaping, electronic cigarette, or smoking accessory business, they will look to ensure that merchants are following all applicable laws. For instance, they will look at a site to ensure that none of the products are being directly marketed for marijuana or other illegal substances. During the review, underwriters also look at a merchant’s credit scores, credit card processing history, bank statements, and its website. Underwriters want a clear picture of the merchant. A negative bank account balance, unpaid bills and late payments, and a history of high chargeback rates will be viewed as strikes against a merchant. Underwriters also will check the business’ website to make sure that is has trusted privacy and refund policies, as well as a secure (SSL). The easiest path to approval begins with preparation. Before an application goes before an underwriter, a merchant should have no outstanding debts, a good amount of money in the bank, and the person applying for the account should have an exemplary credit history. Merchants should want underwriters to determine they are running trusted, legitimate businesses when they view their e-commerce sites. Taking these steps make a merchant likely to get approved for an account without any limits, such as caps on higher processing volume or a lowering rolling reserve. Also, online merchants must have secure, fully-operational websites. Though approvals are not guaranteed, EMB guarantees a streamlined application process. Vape merchant service accounts can receive approvals within 24 to 48 hours. Some merchants, such as e-cig, vaping, and smoking accessory businesses, are vulnerable to a high volume of chargebacks for many reasons. When a customer disputes a debit or credit card transaction, it triggers a chargeback. If a merchant is not told about a dispute of doesn’t find out soon enough, the business is helpless and cannot fight the chargeback. Since e-cigarette businesses are relatively new, many are small businesses with even smaller reputations. Due to the nature of the business and the lack of name recognition, there are an excessive number of customers who report that they didn’t patronize an e-cig business when they checked their monthly credit card statements. Delays in delivery also can lead to high chargebacks. Online e-cigarette merchants often rely on third-party fulfillment centers and shippers to get orders to customers. Backorders and delivery issues can lead to unhappy customers who opt to dispute a transaction. These types of businesses are targets for fraud because many merchants have just started their businesses or are relatively small and don’t know the precautions they need to take to protect against scams. 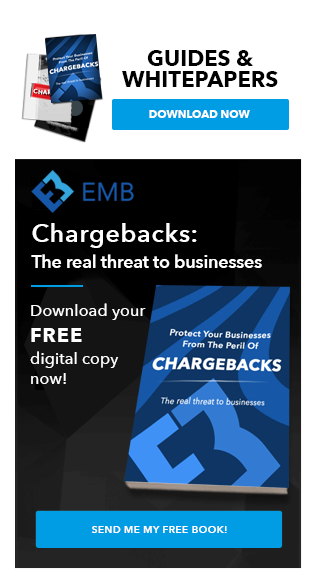 Unlike larger, more established businesses, e-cig merchants don’t always know there are steps they can take to prevent and fight chargebacks and filter fraud until they are victims. Racking up chargebacks is more detrimental to merchants than issuing refunds to customers. Unfortunately, many startups or small businesses don’t realize this because they don’t understand the importance of maintaining low chargeback ratios. Low volumes of chargebacks help businesses keep their merchant accounts. Credit card processors can terminate high-risk merchant accounts if their have a more 3% chargeback ratio. Vape businesses that end up losing merchant service accounts have a very difficult time getting approved for a second one. Credit card processors are quick to drop a merchant with high chargebacks because they are signs that the business has problems with customer service. Merchant account providers know that if businesses don’t have the cash to pay refunds or chargebacks for dispute transactions, these funds could end up their responsibilities. High chargebacks also hurt credit card processors by endangering the relationship it has with its sponsor bank and credit card companies. Merchant account providers that continue to process purchases for businesses that can’t maintain low chargeback ratios also may face fines from the credit card companies. Damaging a relationship with a bank or financial penalties are must more expensive for credit card processors than any merchant’s business. Poor customer experience or credit card fraud are what most commonly results in a chargeback. Therefore, the key to preventing chargebacks is to provide the best possible customer service to patrons and use a chargeback protection system that works. A well-informed customer is often a satisfied customer. Be transparent. Provide customers with detailed receipts with the items purchased, the amount of the purchase, the name of the vendor, contact information, and a delivery window. E-cig and vaping businesses can provide this information via an itemized receipt, an online customer service representative, or shipping and tracking information. Since many chargebacks occur within four days of a purchase, merchants should stay in contact with customers to ensure their satisfaction for at least one week after purchases. Send an email thanking a customer for a purchase, send a final copy of the receipt with contact information, or ask a patron to submit a customer satisfaction survey. This will show customers that their business is valued. Since partnering with Verifi and its new Cardholder Dispute Resolution Network (CDRN) and Ethoca’s alert system, EMB has created an elite alert and chargeback prevention system for high-risk merchants, including online and storefront e-cig businesses. It works because the CDRN operates with banks and card issuers, giving merchants control over resolution of credit card transaction disputes. Through the alerts and the resolution network, merchants achieve the greatest rate of chargeback resolutions while being directly involved in the process. Alerts can trim about 25% off a merchant’s chargeback ratio. Not taking a proactive approach to chargebacks literally can cost a company its business. Merchants should not have to lose profits and put their e-cig merchant accounts in a vulnerable position. Smart merchants will fight back now. Standard Industrial Classification (SIC) codes are four-digit numerical codes given to business establishments that are assigned by the United States and other countries, including the United Kingdom. 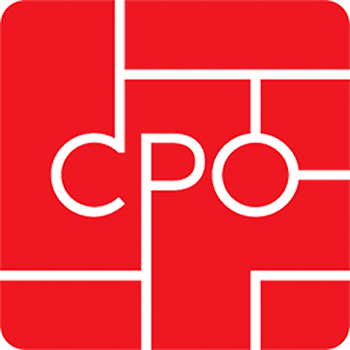 These codes aim to identify the primary purpose of businesses. NAICS, which are six-digit codes used by federal statistical agencies to classify establishments, are used to collect, analyze, and publish statistical information about similar types of businesses and the way they impact the economy in the U.S.
Non-traditional cigarette-smoking businesses, such as vaping and vape shops, e-juices, and e-cigs, often use the 453991: Tobacco Stores NAICS code. Sometimes, merchants must use the 424940: Tobacco and Tobacco Product Merchant Wholesalers NAICS code. In 2014, 3.7% of adults routinely used e-cigarettes, according to the National Interview Survey. That percentage represents about 9 million Americans, according to the U.S. Census Bureau. The survey also revealed that about one in six current traditional cigarette smokers and nearly one in four recent ex-smokers used e-cigarettes. Why? Well, not only do people perceive them as safer alternatives to traditional cigarettes that contain tobacco and carcinogens, like arsenic and vinyl chloride, but the United Kingdom’s executive agency of its department of health labeled them safer. According to a report from Public Health England that was released in 2016, e-cigs are 95% safer than cigarettes. Then, later last year, the Royal College of Physicians, a British professional body dedicated to improving the practice of medicine, supported Public Health England’s statement and urged tobacco smokers to switch to vaping. Canadian scientists also found that e-cigarettes are less harmful than tobacco cigarettes, noting that vapor emissions also contain about one-fourth of the toxins and none of the tar found in the smoke from cigarettes. Vaping also reduces exposure to second-hand smoke, according to Canadian researchers. In the U.S., medical professionals agree that vaping is better than smoking cigarettes but not harmless. Many believe the only ones that truly benefit are the ones that use vaping to quit smoking, and then eventually stop vaping. Vaping is inhaling water vapor through an electronic cigarette, which is a battery-operated inhaler, or a personal vaporizer, such as a pipe or a hookah. When a user takes a hit from a hookah or vaping device, the battery heats the liquid, atomizing it into an inhalable vapor. E-cigarettes use a cartridge called a cartomizer and an LED that lights up when a user draws on the device. Both cartridges for e-cigarettes and liquid refills for the other devices contain varying amounts of nicotine or none. Nicotine causes a rush of adrenaline when it is inhaled from cigarette smoke. It also causes a boost in dopamine, which gives users a feeling of euphoria. Since cartridges and refills do not contain tobacco, some public health officials view vaping as a way for smokers to kick their tobacco addictions. Also, vaping does not lead to second-hand smoke, which causes many types of cancer and an increased risk in heart disease and stroke. Smoke away the competition with an electronic cigarette merchant account from eMerchantBroker. We’ll help you find the right merchant account for your new electronic cigarette shop. We can get your e-cig store accepting credit cards in as little as 72 hours! The Family Smoking Prevention and Tobacco Control Act of 2009 have caused processors to be wary of processing payments for electronic cigarettes, even though they are technically not cigarettes or tobacco. Without full federal research and regularization banks won’t risk exposing them to any legal risks. For your e-cig shop you’ll have to look for payments services from high risk experts, like the team at eMerchantBroker.com. Let our team show you how to set up your merchant account with ease and get your e-cig shop off the ground. At eMerchantBroker we love to say Yes! Our team can easily find you an account that is convenient and efficient for your e-cig business. With processing times as short as 48-72 hours and applicant-friendly policies regarding credit history, eMerchantBroker.com can be the answer your e-cig shop is looking for in credit processing. FDA Regulations Leave E-Cig Merchants in Limbo!